Sydney’s Destiny 3000 is next on the block for R.I.P. Society’s current surge of releases. 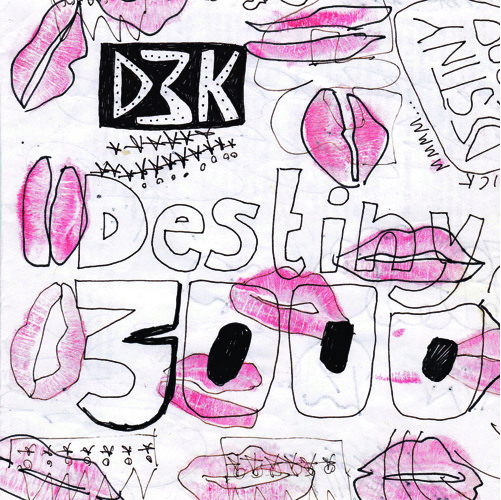 ‘380D’ is the latest offering from Destiny 3000, available as a 7” and it’s a ripper tune that features plenty of blown-out bliss with some sunny sonic undertones. Low-end, lo-fi crunch is overlayed with a listless yet melodic riff, joined by dual vocals, both dispirited. It’s hard to get a sense of the lyrics over the chunky guitars, but I think I hear snippets of lyrics such as ‘If I go anywhere I know there’s nothing left for me’ (if I’m wrong let me know, please! ); suitably downcast sentiments for a song that would suitably soundtrack boredom-fuelled wanderings and insulated defeatism. Listen to this with noise-cancelling headphones with the volume slightly above device recommendations and blast out the cobwebs of the mind. This 7” is available through select distros.